Recovery Requires Strength & Support. We Can Help. 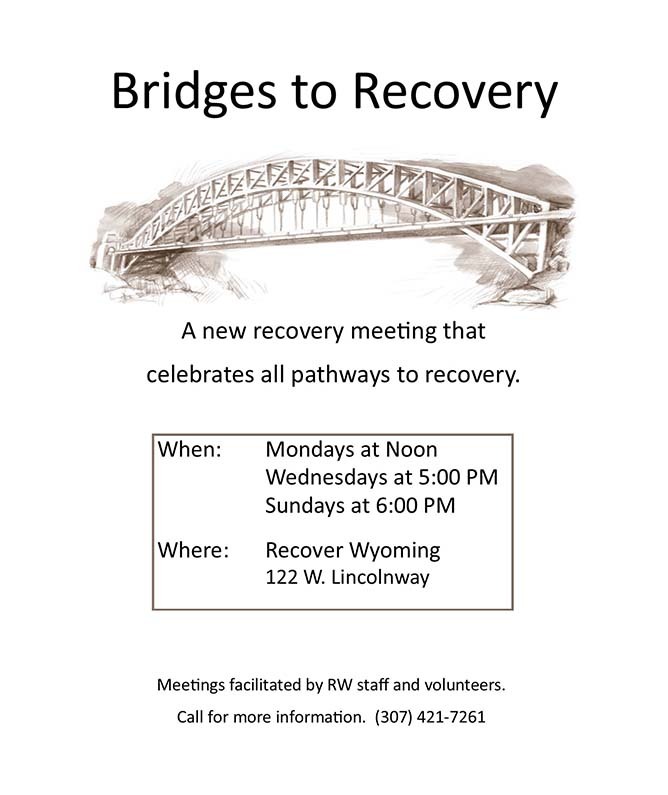 Recover Wyoming provides support to people who are seeking a long term solution from addiction. We offer many different outlets and services that we make available to everyone. Whether you would prefer to go to a meeting or to have support over the phone - we are here, ready and willing to listen. We offer links to other organizations that offer similar services and even those that we do not offer. We can help you find what you need in every stage of your recovery. If we cannot provide the services you need, we can point you in the direction of the group or rehabilitation facility that can. 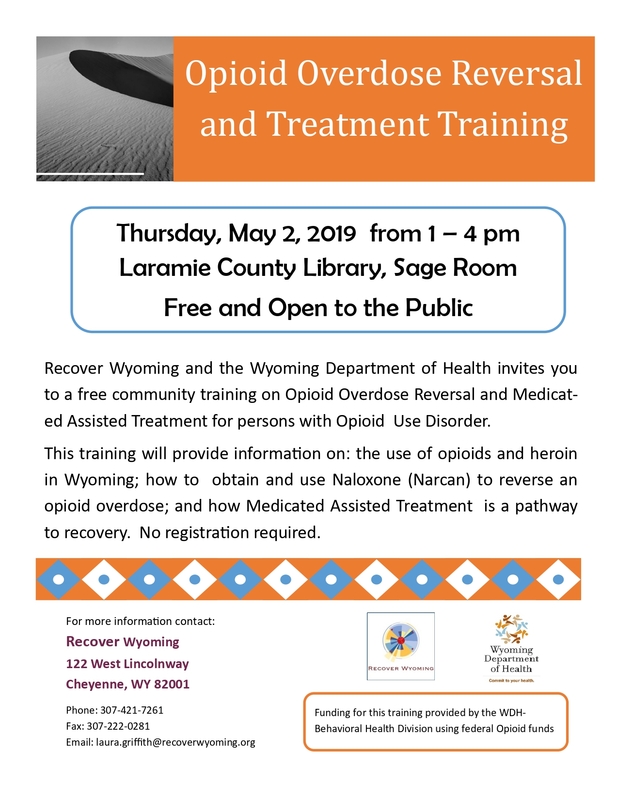 Recover Wyoming hosts a variety of events all year long for those in need of support as well as for their families and friends. We will be putting a schedule of events up regularly - so keep checking back on our events page for updates. We are always looking for volunteers as well to those who are interested. 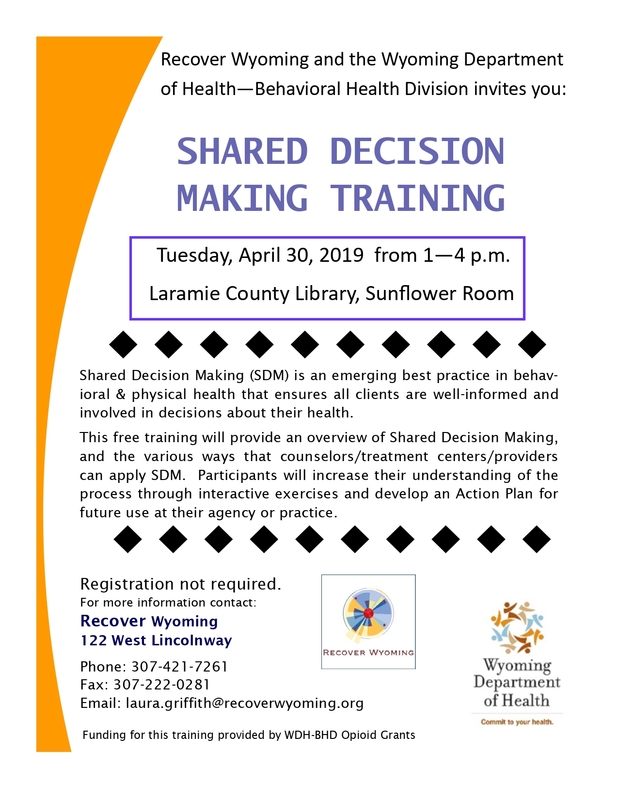 Recover Wyoming is a nonprofit agency whose mission is to assist people seeking and in recovery from addiction and support their families and allies. All donations pay for the programs and services and to keep the door of the Recovery Center open. Visit our donation page to discover how you can help miracles happen. 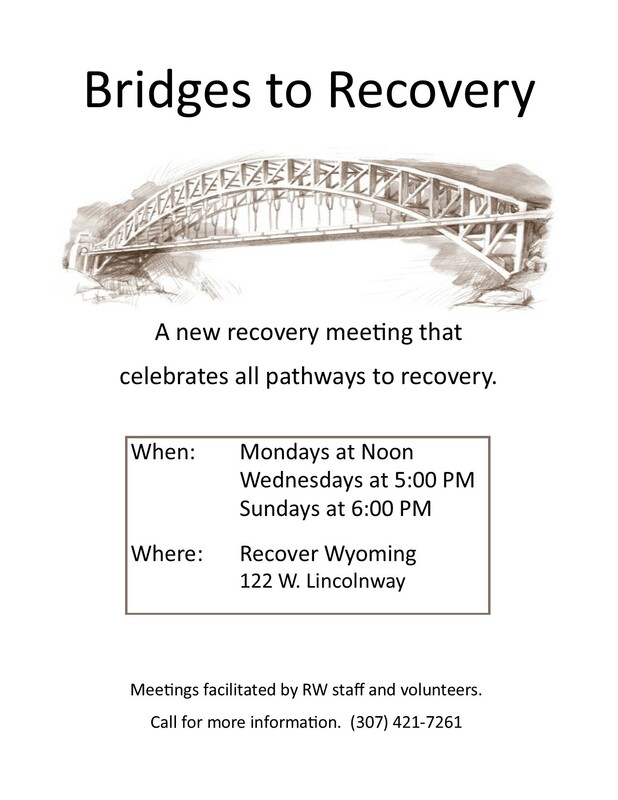 Recover Wyoming is pleased to announce a new recovery meeting that celebrates all pathways to recovery. Bridges to Recovery is held Mondays, Wednesdays, and Sundays at the Recovery Center, 122 West Lincolnway. Call RW for more information- (307) 421-7261! Times for meetings are included in the flyer below.